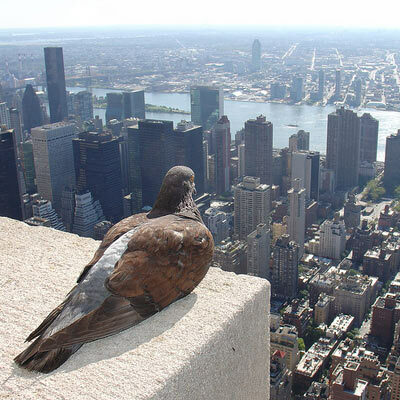 Pigeons perched on your window? 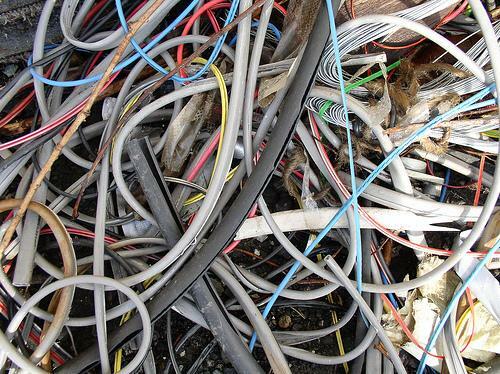 Cables cluttered? Use your tech to make your home life just a little easier. For every household nuisance, you can find a dedicated and--surprise, surprise--expensive product to fix it (usually in The Sharper Image catalogs). For instance, you can buy a bird-scarer to keep pigeons off your porch, a pricey home theater system to pump up your tunes, or color-coded cable organizers to sort out the mess behind your desk. But before you lay out cash on some overpriced equipment, take a look at what your existing tech (and other supplies) can do for you. Here are a few household hacks to help you organize your life. PCWorld senior video producer Chris Manners had a problem--a bird problem. Specifically, a flock of pigeons was roosting on his windowsill. How could he rid himself of these pests using technology? What kind of household hack could banish these feathered fiends? A couple of options came to mind. Recycle your old media: A common method of scaring birds is to attach streamers, or flash tape, to the window ledge or balcony so that it moves in the wind and creates reflections. Instead of running out to your local hardware store and picking some up, however, just hang some CDs out the window on a string. The reflective surface of the discs will function like flash tape, keeping your windowsills and balconies pigeon-free. Make your own ultrasonic sounds: Another way to scare birds is to use an ultrasonic bird repeller--a little device capable of broadcasting ultrasonic sounds that are between 22 kHz and 30 kHz--beyond the range of human hearing, but audible to animals. Unfortunately, such devices cost anywhere from US$50 to $500--and who wants to drop $500 on something they can't even hear? Luckily, you can find ultrasonic sounds on the Internet--in the form of ringtones. A number of ultrasonic ringtones are available, because sounds between 17 kHz and 20 kHz can usually be heard only by teenagers. Just download one of these ringtones and put it on loop. The only drawback: Any teens or dogs in your house will suddenly start hearing things. We're one step closer to the completely automated future. You can now control a number of household appliances with your cell phone. Turn off everything with Picowatt: A smart-plug designed by Tenrehte, Picowatt is meant to help users control their energy consumption--it's basically a mini Wi-Fi router that runs Linux. 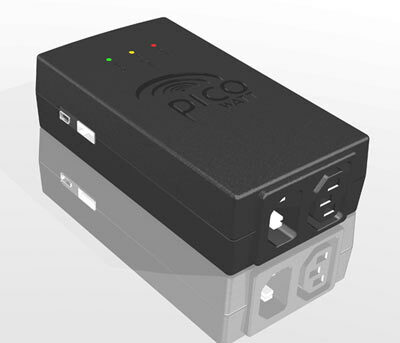 You simply plug Picowatt into an electrical outlet and plug your device into the Picowatt plug. Using a Web browser, you can then monitor the amount of energy that particular appliance is using, as well as turn it on or off remotely. Unlock your door with Kwikset SmartCode: If you hate fumbling with your keys at the door--or if you have a child or significant other who routinely gets locked out--Kwikset's SmartCode deadbolt lock can help. The deadbolt features 128-bit encryption security, and you can open it with a key, a code, or wirelessly from an Internet-connected device. You can also check the status of the lock from your phone, as well as receive text or e-mail notifications when the lock is accessed.